If you have an intricate prototype or a multi-part robot design, here are some 3D printing services to help you out! Desktop 3D printing is an incredibly useful technology. 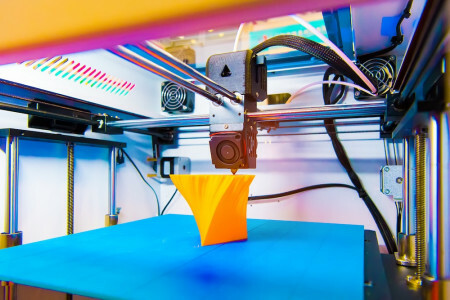 In general, 3D printing is useful for producing designs across a huge range of engineering, marketing, artistic, and creative projects. Art and fashion are finding novel ways of integrating 3D printing and with filaments that include metals and ceramic, designs can be extremely eye-catching. However, owning a 3D printer comes with a set of challenges and issues that many Makers and professionals are either unaware of or reluctant to add to their workload. Emerging research is showing that sharing a workspace with your 3D printer is not particularly good for your health. Not to mention, 3D printers tend to be quite noisy. 3D printers, like any other machine, require maintenance to keep working; and parts of your 3D printer might fail outright from time to time, requiring repairs. Buying a 3D printer can also be costly. This article discusses the 3D printing services Shapeways and Scuplteo and their unique benefits, features, and drawbacks. Check out our article about 3D Hubs and Protolabs for end-to-end services that can help you start the design process. Shapeways is a well known 3D printing service that has evolved over time in response to changes in 3D printing technology. The service was launched in 2008, allowing users to upload CAD files and have them 3D printed. Originally, parts were produced in common plastic materials like PLA and ABS. Throughout its history though, Shapeways has been known for offering a wide range of material options, often being among the first to market with new 3D printing technologies. This innovative approach to material selection began shortly after the company's founding. 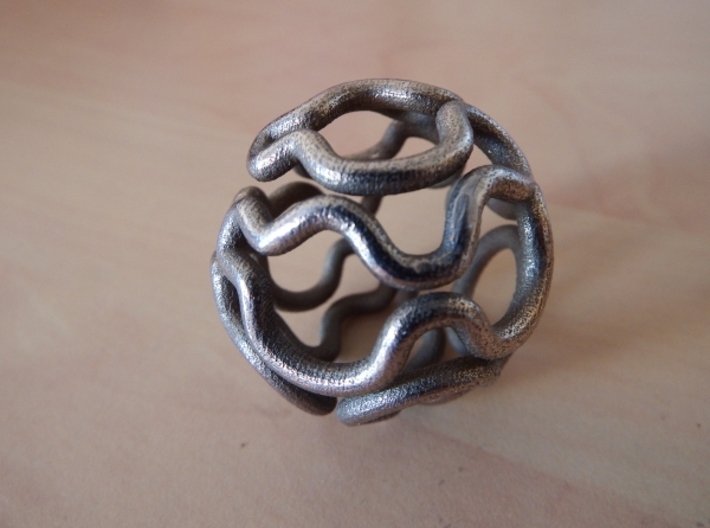 In 2009, Shapeways bagan offering prints in stainless steel. Shapeways offers prints in a variety of materials, including stainless steel. Today, Shapeways offers 14 different materials in a number of different colors and finishes. These include nine different types of metal and a variety of high-performance plastics. In total, Shapeways offers 34 different combinations of materials and colors. Shapeways offers 14 different printing materials. Ordering from Shapeways is pretty straightforward. Just like with 3D Hubs, the process starts with uploading a 3D model. 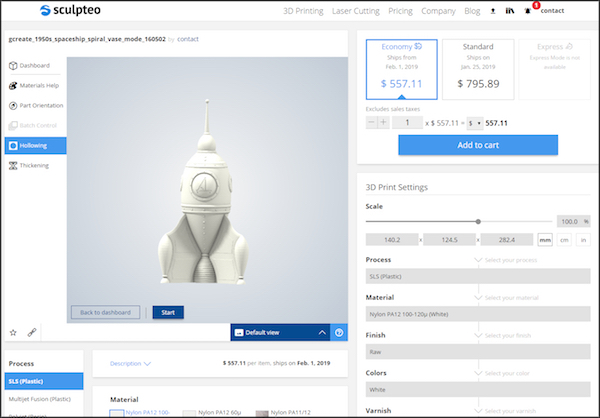 Start an order by uploading your 3D model to Shapeways. 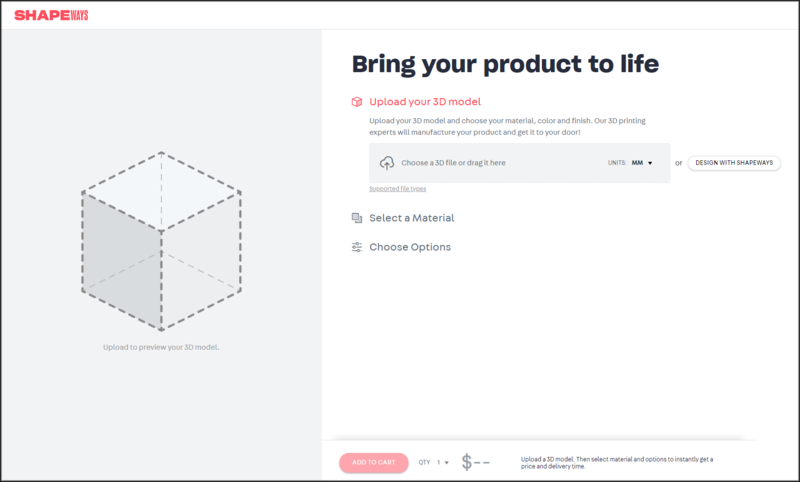 Once your part is uploaded, and the Shapeways automated analysis system has finished finalizing the design file, you will be presented with Shapeways’s selection of 3D printing materials with which your design is compatible. For most metal parts, your design should be relatively small in overall size. After uploading your files, you pick the print material for your design. Many of the materials available from Shapeways have color and finishing options. For example the plastic materials are available in a range of different colors. For the metal materials, Shapeways offers different polishes. As you choose different materials, a cost and delivery estimate can be seen at the bottom of the screen. For What Types of Projects is Shapeways Useful? 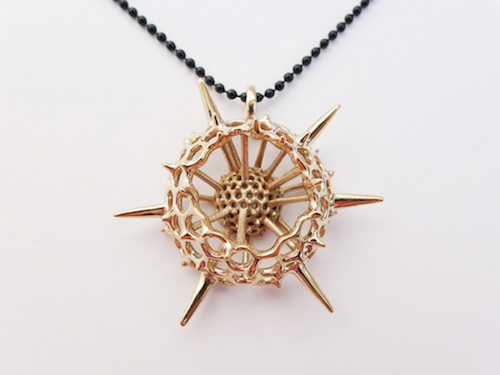 Because of its extensive offering of exotic and high-end 3D printing materials, Shapeways is great for Makers working on specific projects requiring high-specification parts, jewelry artists, and designers needing prototypes of metal parts. 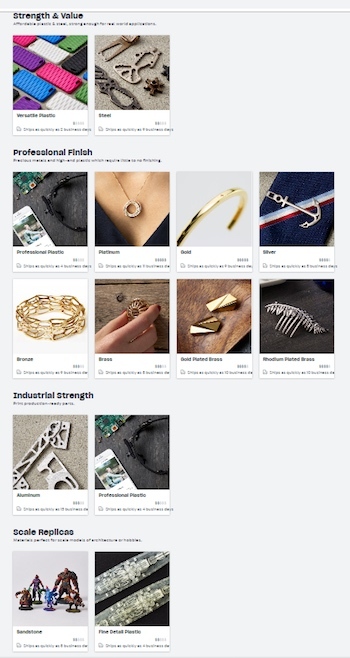 Shapeways is a particularly popular service among Etsy sellers or other craft artists because Shapeways offers a range of precious metals for 3D printing, complete with finishing services, making it a great service for jewelry or other accessory makers. Shapeways offers 3D printing services in precious metals. Shapeways also offers is 3D design services. 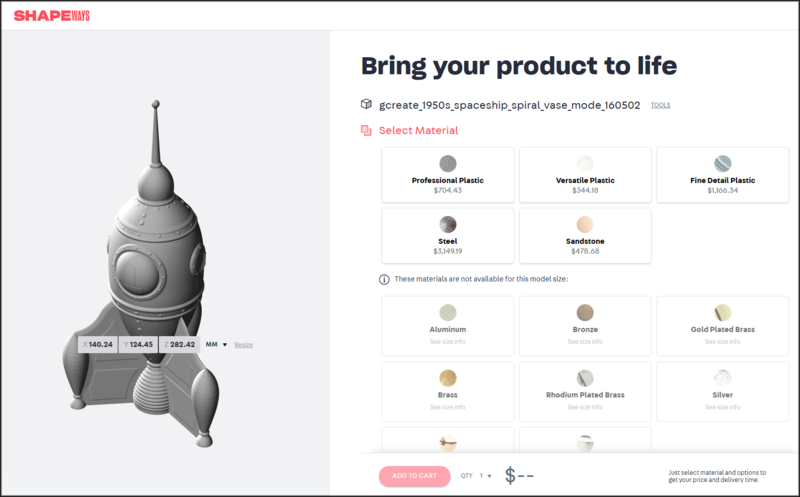 If you are using 3D printing to prototype or manufacture a product, you can work with design professionals at Shapeways to get the design of your product done for you. So, if you are working on a new product and need help with the design work, Shapeways is a good resource to consider. Sculpteo also prides itself on offering a large range of professional, high-performance 3D printing materials and technologies. With a whopping 56 available materials, some of which have half a dozen different finishes, Sculpteo offers the largest material selection of any 3D printing service. 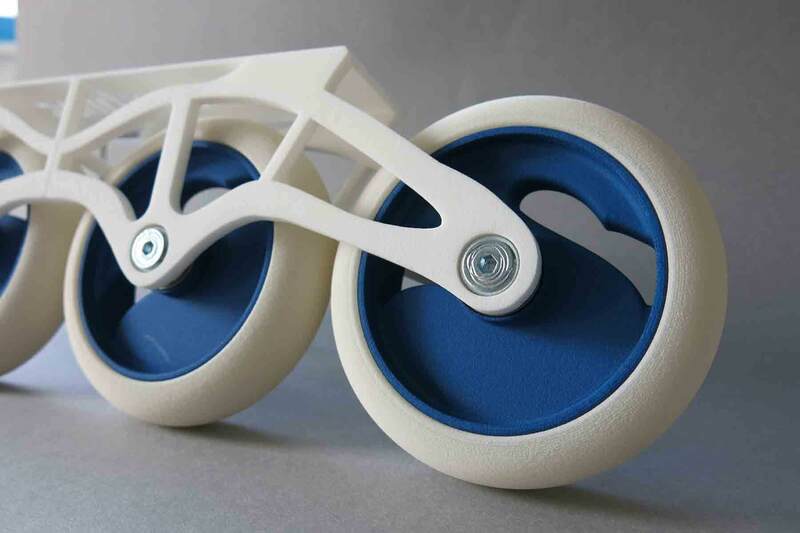 Sculpteo sets itself apart by focusing its offerings on the high-end 3D printing market. Sculpteo does not offer typical FDM 3D printing; rather, the services offers SLS, Multijet Fusion, Polyjet, Colorjet, and Binder Jetting 3D printing technologies. The process of ordering parts from Sculpteo is similar to Shapeways and 3D Hubs. The first step is to upload the 3D design file you need 3D printed. 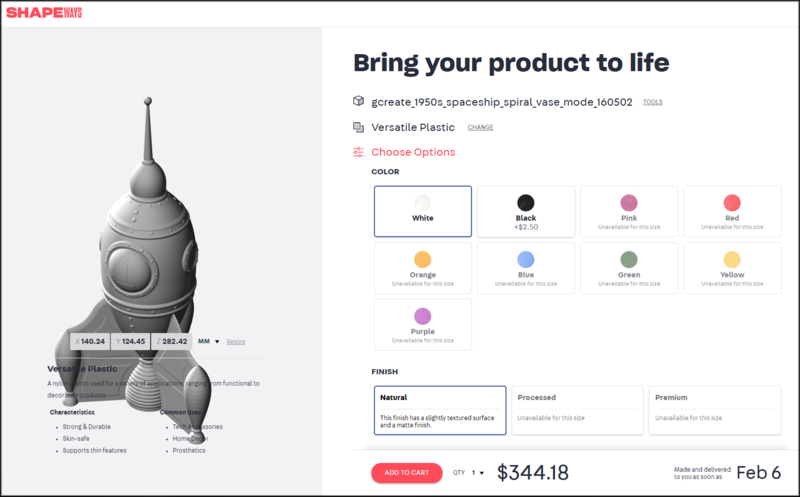 Then, after waiting for Sculteo’s automated design analysis to complete its work, the website will present an interface that will allow you to choose options for your 3D print. 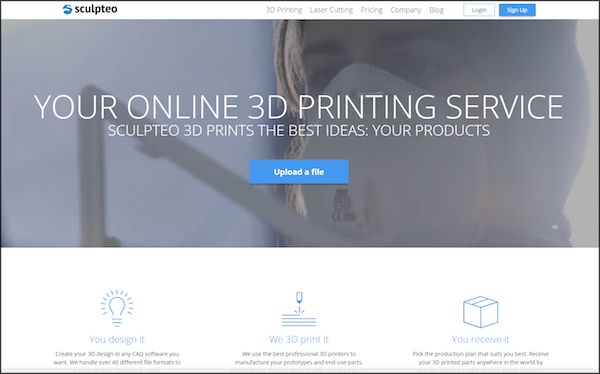 Start your Sculpteo order by uploading your design files. Once you have your materials, colors, and finishing options selected, you simply submit payment and wait for the approximately two weeks it takes Sculpteo to create parts. Select the materials and finishes you'd like for your design and Sculpteo will provide a cost and delivery estimate. For What Types of Projects is Sculpteo Useful? Sculpteo offers a range of high-performance materials, making the service a good choice for Makers needing 3D prints beyond the capabilities of their FDM desktop 3D printers. This may include highly detailed aesthetic prototypes, or functional prototypes. Because of Sculpteo’s excellent selection of metal 3D printing materials, the service is also good for custom jewelry designers. Sculpteo works well for highly detailed or functional prototypes.